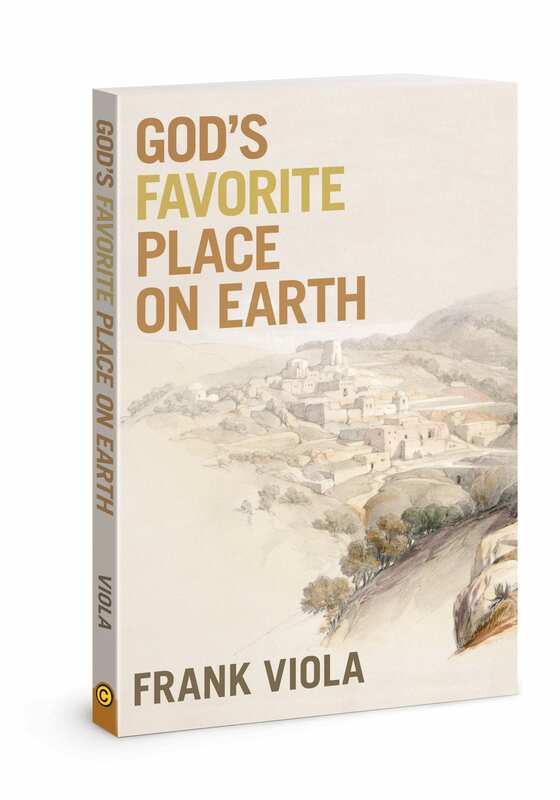 FRANK VIOLA author is the bestselling author of God’s Favorite Place on Earth, From Eternity to Here, Jesus Manifesto, Reimagining Church, Jesus Now, and Jesus: A Theography. Encounter Jesus Christ through the Scriptures in a fresh and powerful way. Discover how to live by the indwelling life of Christ. Replace guilt, condemnation, and performance-based religion with freedom, joy, and love for others. Experience face-to-face community that’s vibrant and centered on Jesus. Discover what God’s ultimate intention is and how to live for it. Live free from legalism on the one hand and libertinism (license to sin) on the other. Awaken a love for Jesus that is motivated by His peerless beauty rather than religious duty. According to his blog – frankviola.org – Viola’s mission is to help serious followers of Jesus know their Lord more deeply so they can experience real transformation and make a lasting impact. 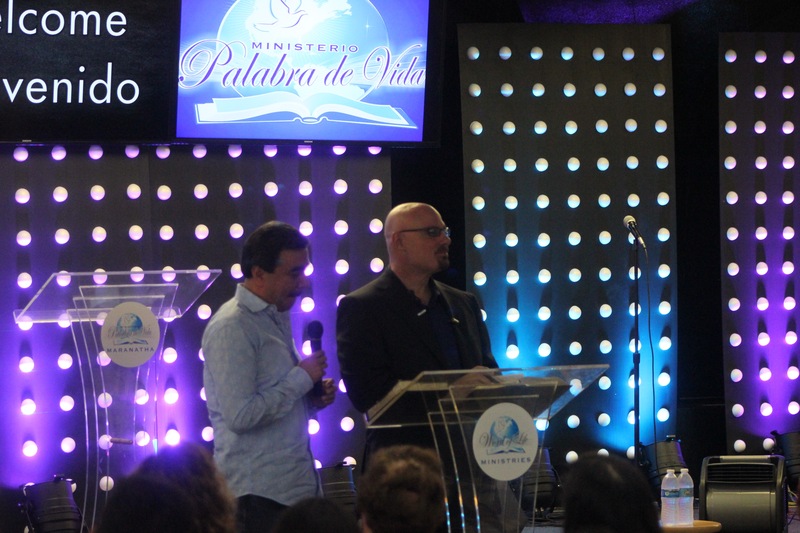 Frank’s public speaking covers a wide range of topics including the centrality, supremacy, and all-sufficiency of Jesus Christ, the deepening of the spiritual life, Christian community, church planting, God’s eternal purpose, mission, and church renewal and restoration. Viola has written numerous books on the deeper Christian life and radical church reform, including the bestsellers God’s Favorite Place on Earth, From Eternity to Here, Jesus Manifesto (coauthored with Len Sweet), and Pagan Christianity (co-authored with George Barna) as well as Revise Us Again, Finding Organic Church, Reimagining Church, Jesus Now, and The Untold Story of the New Testament Church. Click here to view all of his books. Frank’s books and articles have been translated into Spanish, Korean, Japanese, Chinese, Dutch, German, French, Swedish, Portuguese, Romanian, and Russian. He has traveled extensively throughout the continental United States also making trips to Europe, South Africa, and South America. Viola’s ability to frame old issues in fresh ways is a hallmark of both his writing and speaking. He has a low tolerance for canned answers and religious platitudes, and bring a unique perspective on Christian topics. 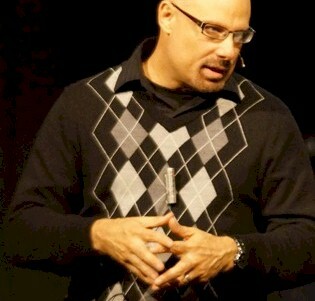 He has been quoted in TIME magazine and has written for or contributed interviews to Christianity Today, Relevant, Life Today, Charisma, Ministry Today, Prism, Good News, CBN, Neue, Out of Ur, The Christian Post, Rethink, The Ooze, Next-Wave, Rick Warren’s Pastor Toolbox Newsletter, ForMinistry, OpenHeaven, House2House, InSpirit, Allelon, New Reformation, Ginkworld, The Cutting Edge, New Wineskins,The Pneuma Review, etc. His blog, Beyond Evangelical, contains hundreds of his articles. “Frank Viola is a prophetic voice in the contemporary Christian milieu. Through his prolific publishing and conference-speaking output, Frank has informed, challenged, and deepened the spiritual lives of many over the past decade, myself included. Frank’s pen played a key role in introducing me to knowing Jesus in an organic community of God’s friends, combining meticulous research and firsthand experience into books that capture heart and mind. He brings years of alternative church experience to the table, offering fresh (even radical, “to the root”) thinking to bear on old questions, while pioneering new questions few have asked. Mike Morrell, editor for The Ooze and contributor to Next-Wave, the Burnside Writers Collective, and Relevant Magazine. Viola, Frank and Leonard Sweet (2016). Jesus Speaks. Thomas Nelson. Comprehensive yet simple-to-read treatment on how to recognize and respond to the voice of Jesus. Viola, Frank and Mary DeMuth (2015). The Day I Met Jesus. Baker Books. Retells the story of five women in the Gospels from their perspectives, adds practical teaching as well. Viola, Frank (2013). God’s Favorite Place on Earth. David C. Cook. Amazing narrative of Jesus and the little village of Bethany and the amazing things that took place there. Told from the viewpoint of Lazarus. Viola, Frank and Leonard Sweet (2012). Jesus: A Theography. Thomas Nelson. Tells the story of Jesus Christ from Genesis to Revelation. Viola, Frank (2011). Revise Us Again: Living from a Renewed Christian Script. David C. Cook. A groundbreaking book on spiritual formation that explores ten areas of the Christian life that are rarely navigated. Deep, incisive, encouraging, insightful and illuminating. Viola, Frank and Leonard Sweet (2010). Jesus Manifesto: Restoring the Supremacy and Sovereignty of Jesus Christ. Thomas Nelson. A stunning unveiling of the Person of Jesus Christ that is fresh and moving. Glowingly endorsed by over 30 influential Christians as a message that is both timeless and timely. Amazon Bestseller: Reaching #6 out of all books. Viola, Frank (2009). Finding Organic Church: A Comprehensive Guide to Starting & Sustaining Authentic Christian Communities. David C. Cook. The most practical book on organic church that Frank has ever written. Based on over 20 years of living in and planting organic churches, this is an essential and comprehensive guide that provides practical, effective tools for finding, starting, and sustaining vibrant Christian communities under the headship of Christ. Includes an extensive treatment of apostles and apostolic ministry. Amazon Bestseller: Reaching #12 out of all books. Viola, Frank (2009). From Eternity to Here: Rediscovering the Ageless Purpose of God. David C. Cook. Frank’s magnum opus. An amazing presentation of the grand narrative of the Bible—God’s Eternal Purpose. The definitive missional book for our times, a tour de force. CBA Bestseller: Reaching #16. Parable Bestseller: Reaching #5 out of all books. Viola, Frank (2008). Reimagining Church: Pursuing the Dream of Organic Christianity. David C. Cook. The constructive sequel to Pagan Christianity. This is a theology of church as organism rather than church as organization. Nominated for Best 2008 Book Award “Christian Leadership” category by Outreach Magazine. Viola, Frank and George Barna (2008). Pagan Christianity: Exploring the Roots of Our Church Practices. Tyndale. The most controversial book of our time. An exhaustive and strongly-documented history of where our church practices came from. Note: This is not a stand-alone book. It’s only the first half of the conversation. Reimagining Church presents the second half. Amazon Bestseller: Reaching #11 out of all books. Viola, Frank (2005). The Untold Story of the New Testament Church: An Extraordinary Guide to Understanding the New Testament. Destiny Image. A unique Bible handbook that weaves Acts and the Epistles together chronologically, creating one fluid story. An epic volume giving readers a first-hand account of the New Testament drama that is both riveting and enlightening. Frank Viola was born on October 12, 1964 in Englewood Cliffs, New Jersey. Viola’s parents are second generation Italian coming to the United States from Italy — Sicily and Naples respectively. At an early age, Viola’s family moved to upstate New York where the author grew up. They then moved to Florida when Frank was 13 and he’s lived in Florida ever since. Viola is happily married to his wife who is from Southern Georgia, he is also a father and proud cat owner. He doesn’t profit from his book sales, but gives his book income to ministry expenses and the poor. While he’s a frequent speaker, he doesn’t require an honorarium as most ministers do. He used to teach high school in the 1990s and had a ministry to students there (he sponsored the Christian Fellowship of Students). Today, Viola earns his personal income from blogging (through ads and affiliates). 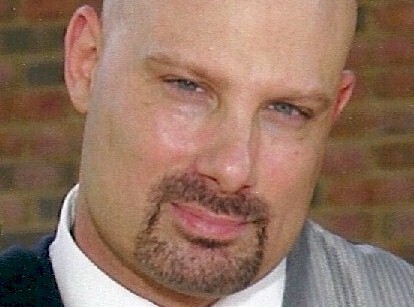 He’s also an entrepreneur (he partners with others in an author/writer seminar). Frank Viola chose not to receive any academic theological training. So he’s never been to seminary or Bible college. Instead, he’s chosen to be an autodidact just as A.W. Tozer, Charles Spurgeon, G. Campbell Morgan, Watchman Nee, and countless other servants of God were. Yet Viola’s work has been endorsed by many scholars and well known pastors and he’s debated with some of the most prestigious scholars in the world. Seminary students, professors, and pastors have learned from Viola. He’s also authored two books with eminent seminary professor Dr. Leonard Sweet. His writings are regarded as luminous and hailed as revolutionary. Acclaimed as a “vital voice in our time” and a “prophetic voice in the contemporary Christian milieu” by the editor of TheOOZE, Frank Viola has been recognized as a significant force in the development and proliferation of organic missional churches and the higher Christian life. The author of numerous best-selling Christian books, Viola has spent more than two decades pioneering an alternative approach to conventional Christian faith. Organic missional churches offer a more natural approach to worship that focuses on individuals’ relationships with God and other group members. It is a form of church that has strong biblical roots as well. Frank Viola author’s earlier books emphasized that organic churches enable Jesus Christ to be known deeply by a group of people is echoed by people like Howard Snyder, Robert Banks, Jon Zens, Milt Rodriguez, and many others. In such a setting, together, church members explore Christ’s infinite riches and work to bring His Word to the lives of others. In Viola’s discussions, he endeavors to educate and challenge participants with deeper truths of the Christian life, addressing long-established questions as well as inquiries that have previously been given little attention in evangelical circles. Frank’s later’s books are on the deeper Christian life and Jesus Studies, his present focus. Viola’s present publishers are Tyndale House Publishers, David C. Cook, Baker, Destiny Image, and Thomas Nelson. He has also published eBook with Present Testimony Ministry. A highly sought after conference speaker, author Frank Viola spreads the message of the supremacy of Jesus by offering numerous online resources dedicated to the discussion of Christian community and the teachings of Jesus Christ and the apostles. Frank Viola began his journey into organic missional church in 1988. 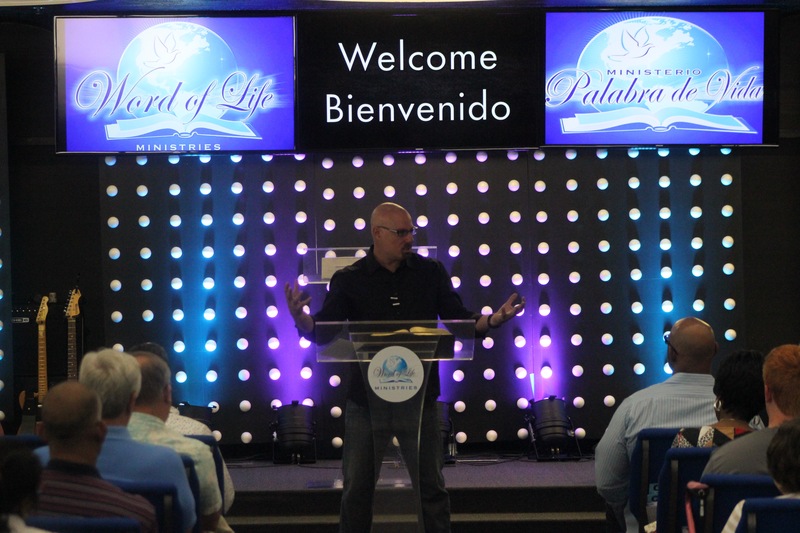 For more than two decades, he has worked to initiate organic missional churches, which are simple Christian gatherings that emphasize a relationship with God and other members of the group. The author of From Eternity to Here, Revise Us Again, Finding Organic Church, God’s Favorite Place on Earth, Jesus Now,The Untold Story of the New Testament Church, Viola has also collaborated on books such as Pagan Christianity and Jesus Manifesto & Jesus: A Theography (with George Barna and Leonard Sweet, respectively). As an extrovert, Viola enjoys team work efforts. In addition to Barna and Sweet, Viola has also done co-writing projects with Greg Boyd and Derwin Gray. Viola’s work discusses a wide range of topics, from radical church reform to a deeper Christian life. Frank Viola’s books have been translated into numerous languages, including Spanish, Korean, German, Portuguese, and Russian, for distribution all over the world. Aside from participating in speaking engagements, authoring numerous religious books, maintaining his blog, running a highly-ranked podcast, and leading in the missional church, Frank Viola stays active in helping the poor and oppressed. A past sponsor of Rotary International and the Christian Fellowship of Students, Viola currently donates his time and money to Bread for the World, Heifer International, and has aided several homeless ministries in his area. He also works to help several poor people individually. Additionally, Viola enjoys reading the Bible and participating in discussions of ecclesiology, spirituality, theology, and philosophy. Frank has been involved in organic missional churches for more than two decades. He advocates Christian beliefs and teachings and has initiated several churches in various locations across the country. He explores the changing shape of evangelical Christianity. He also encourages the development of organic missional churches at the Holy Spirit’s leading. These churches redefine the conventional Christian church and liturgies to concentrate on individuals’ relationships with God and each other, expressing Jesus corporately. Recognized for his vast knowledge of church history and the deeper Christian life, Frank Viola is a featured speaker in Christian colleges, seminaries, and traditional churches. His work has aided others in rediscovering a deeper spirituality and enriching their personal relationships with the Lord. Utilizing smaller groups, Viola endeavors to offer an alternative experience that encourages discussion of both old and new questions and topics. Viola has been pioneering in body life since the late 1980s. 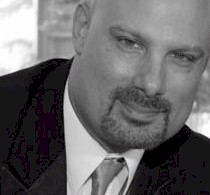 He brings over 20 years of experience to the table in what is now a growing phenomenon. A best-selling author, Viola’s books Jesus Manifesto placed number 6 on Amazon.com out of all books, while Finding Organic Church and Pagan Christianity reached number 12 and 11, respectively. God’s Favorite Place on Earth ranked #13 on Amazon and Jesus Now and From Eternity to Here were both CBA Bestsellers. 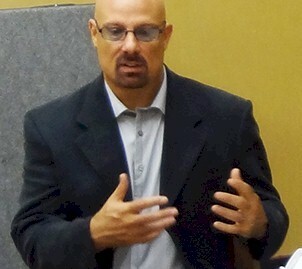 A graduate of the University of South Florida, Frank Viola studied a wide range of topics, including psychology, sociology, history, social science, education, and political science. Utilizing his formal education and combining it with the passion of his faith, Viola continues to author presentations and lectures about spirituality, Jesus studies, and the changing shape of evangelicalism. At present, Frank resides in Florida with his family. Aside from his writing, speaking, and participation in ministry, he enjoys playing guitar, traveling, trying exotic foods, listening to music, visiting new places, and watching films. An artist at heart, Viola takes great pleasure in sightseeing. In his blog, he discusses God’s grand mission, the deeper Christian life, organic missional church, and humor. Known for his clever wit and sophisticated humor, Viola’s popular podcast has over 100 episodes to date. Some of the episodes are conference messages, others are monologues, interviews, and humorous sketches. Released in 2008, Frank Viola’s book Pagan Christianity (co-authored with George Barna) shook the Christian world. It was followed later that year by another successful work called Reimagining Church, the companion volume to Pagan Christianity. These books, along with Finding Organic Church, were based on Viola’s over two decades of experience of living in and working with organic missional churches. Where Pagan Christianity deconstructed, Reimagining Church constructed. These books are part of a series on radical church reform and they should be read together. Viola has traveled throughout the United States, South America, and Europe, addressing diverse audiences. As a public speaker, Frank offers a fresh perspective on spiritual transformation and mission. He has shared his insights on a host of subjects, including God’s eternal purpose, Jesus Christ’s centrality and supremacy, spiritual life, church planting, and church renewal. Recorded on audio CDs, his speeches on these themes and others are available through his top-rated podcast which is entitled Christ is All, and it’s available through Apple’s iTunes store. Frank Viola found his calling as an author, writing about church reforms that he believes will bring church-goers closer to following the practices intended by God. Taking inspiration from the manner in which Jesus preached to his apostles, Viola supports the notion of an organic missional church as an alternative to the kinds of worship with which most people are familiar. Again, these concepts are explored in depth in Mr. Viola’s books Pagan Christianity, Reimagining Church, and Finding Organic Church, which reached considerable levels of success through sales on Amazon.com. Frank’s better known books are about Jesus and deeper Christian life themes: Jesus Manifesto, Revise Us Again, From Eternity to Here, Jesus Now, God’s Favorite Place on Earth, and Jesus: A Theography. 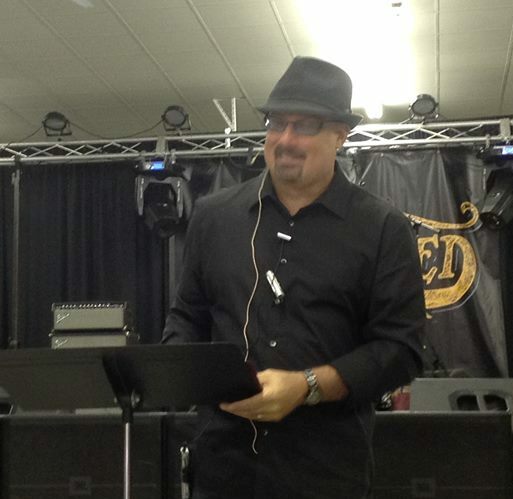 The success of his message makes Viola a popular choice for Christian conferences and seminars. Viola’s inspirational book, Revise Us Again (2011), tackles the subject of spiritual development, exploring ten seldom-examined facets of Christian life. Throughout the over 10 books he has authored thus far, Viola has also delved into the topics of organic worship and God’s eternal plan for His church. Jesus Manifesto, which was published in 2010, makes the case for a spiritual awakening of the Christian laity to Jesus as Savior, Head, Lord, and All in All. Jesus: A Theography (2012) tells the Jesus story from Genesis to Revelation. Jesus Speaks (2016) is on hearing the voice of the Lord. Jesus Now (2014) traces what Jesus’ present-day ministry is since His ascension and God’s Favorite Place on Earth (2013) is an original work of biblical narrative. The Day I Met Jesus (2015) is the follow-up. One writer says, “Contemporary theologian Frank Viola has long urged the Christian church to return to its biblical roots. As a noted speaker and author of widely-read nonfiction books on the subject of Christianity, Viola encourages the spiritual-minded to rethink the way they worship. Rather than advocating an organized religion led by a spiritual figure such as a clergyman, he proposes a shift toward organic missional churches. Featuring open participation among members, organic churches eschew traditional rites and strictures. The benefit of this approach, according to Frank, is that it embodies biblical teachings, not religious doctrines. Jesus is Lord in a practical, functional way. One of the most-read blogs of its kind, Beyond Evangelical serves as a literary roadmap for believers in their quest for God’s eternal purpose and the deeper Christian life. A prolific author, Viola has penned over 800 blog posts since June 2008. Writing predominantly on the subjects of spirituality and faith, Christian author Frank Viola supplements his numerous books and articles with speaking engagements to offer a new perspective on church reform. Frank released his first online discipleship several year s ago. Click here for Viola’s online course site.